A great feature to playing real money 21 online – other than being able to play from the comfort of your own home – is you can you choose what music you want to listen to. You generally can’t listen to your iPod at the blackjack tables at land-based casinos, and the live music is generally too far away to hear, but online you can choose your own songs to play. We pick the best songs to blast through your speakers when practicing your basic strategy. 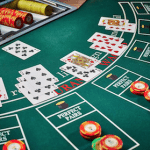 Open up the blackjack game of your choice from one of our recommended blackjack sites – these sites are regulated to ensure fair games for players. Once you have opened the title, mute the game sounds. Many of the providers will keep the soundtracks simple, but you may find some with casino-noise as the backing song or other audio effects attached. You can listen to the sounds provided or you can open up iTunes in the background and play the following songs we love listening to when playing 21 online. This song will not only get you in the mood, but the reminder will keep your bankroll in check as you play your favourite blackjack variant. Even if you’re the type of player with an iTunes playlist filled with songs by Bieber, you need to add some Frank Sinatra. 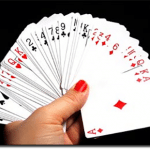 It was written by Frank Loesser in 1950 but it eventually became a cult song for Sinatra and the perfect accompaniment to playing real money blackjack. The lyrics “And so the best that I can do is pray, Luck be lady tonight,” is a great mantra to live by when playing and who knows it may indeed bring you luck on the tables. This song is also regularly featured in pop culture, but the best use of the song was in the movie The Cooler, which focuses on life in the casinos in Las Vegas. Even if you don’t agree with us in terms of the lyrics the song is a great track to create a soothing ambience as you Hit, Stand or Double Down. Not the best song to get you in the mood to play but it may help you remember the best moves to make in a traditional game of blackjack. Staff writer of The Blackjack Apprenticeship wrote the song in order to help people memorise the basic strategy – have this playing in the background and you won’t even need to have the chart open in another tab as it tells you when to Hit, Stand, Double, etc. Mind you, the voice isn’t the best but it can be quite a helpful track to have on as you play a traditional blackjack game, such as Microgaming’s Classic Blackjack title. Before Madonna became the diva she is today, her songs were incredibly inspiring and while the lyrics of this song is about her asserting herself and her independence it also ties in nicely to playing blackjack. The lyrics “cause I’m a gambler, I only play the game my way, yeah” is a great way to play – if you take the game into your own hands it will be more satisfying when you win, but be sure to make the smart moves when required. If you prefer your soundtrack to offer an upbeat ambience than an inspiring mantra, this song is still an ideal option thanks to the percussion and electronic handclaps. If you want a modern song which has nothing to do with gambling and everything to do with getting you into the mood to party, then Pharrell has the best song to accompany online blackjack. The song is incredibly upbeat and you can sing along – just be sure it doesn’t distract you from the game at hand.